The Komandor manufacturing plant is the heart of the business, producing the final products, designed by you and delivered and installed to your apartments, house, and office, and, of course, in our showrooms. Komandor has been a market leader for 25 years, designing and building bespoke furniture. 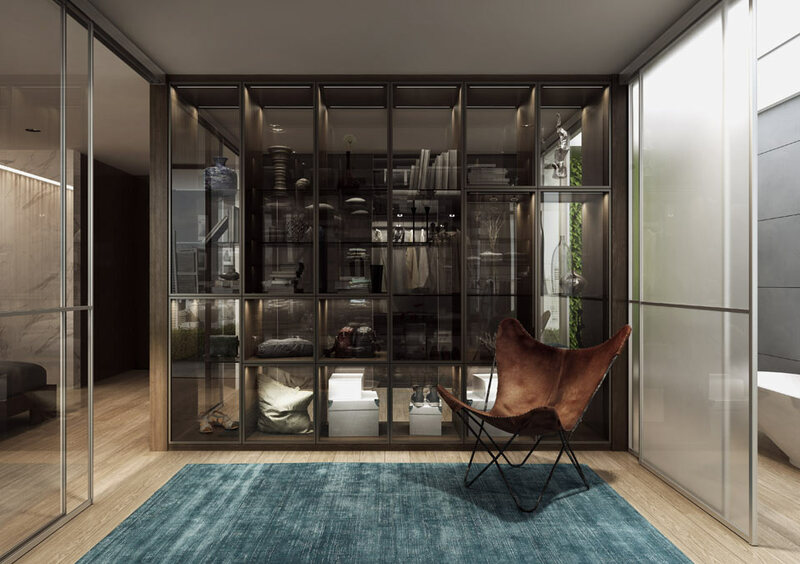 Our iconic sliding wardrobes quickly became a symbol of our success and still today they make us leaders in our industry. Thanks to the suggestions of our customers we are constantly widening the scope of our products and services. We are a leading producer on the market of bespoke kitchens, bespoke furniture and movable partition walls and Aurora walls. In 2015, supported by EU funding, we completed a full upgrade of our machinery. 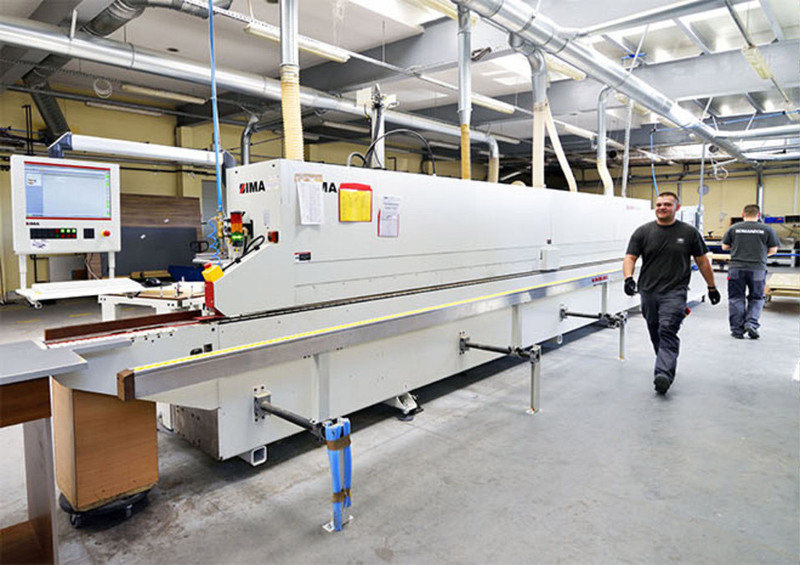 We are now the proud owners of the most modern equipment in the region: including beam saws, profile edge banders, CNC for board panels and aluminium, glass grinders and glass drills. 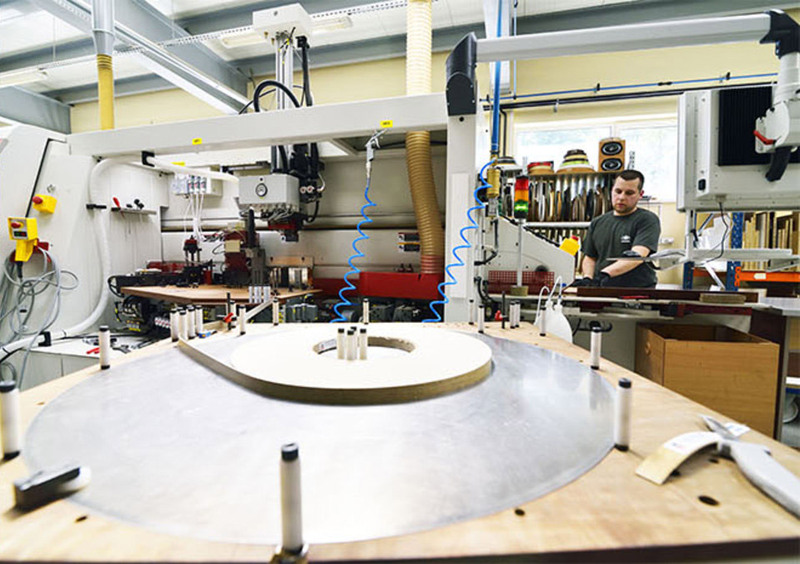 This combined with the experience and qualifications of our skilled teams, allows for the production of the highest quality bespoke furniture through cutting edge material processing. Komandor Bydgoszcz SA manufacturing plant is not only about production but it's also creates products for storage facilities, office and conference areas, and the main office of Komandor Wholesale, from where you can buy all the furniture accessories available on the market. One of the most important parts of our manufacturing plant is our Kitchen Showroom where you can view the most up to date trends in kitchen design. 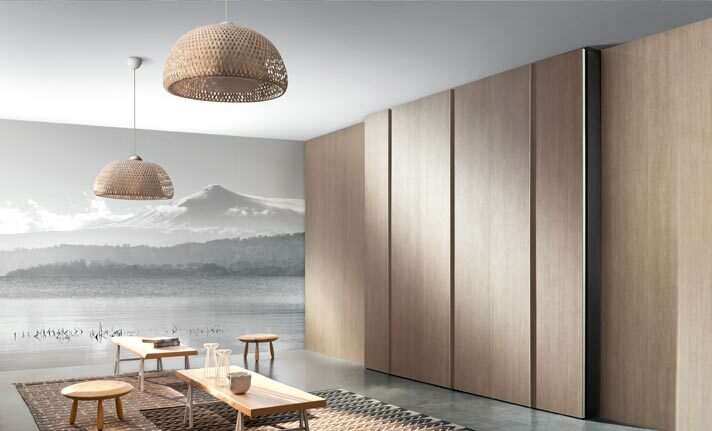 KOMANDOR Sliding Wardrobes is made up of several companies from all over Europe North and South America, and Asia. 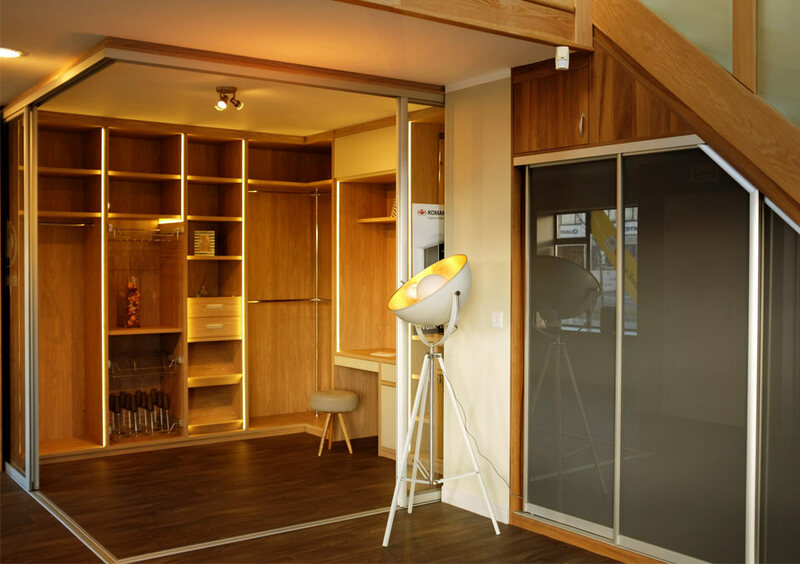 These companies manufacture and supply components for the production of interior furnishings, based on the original sliding door system. 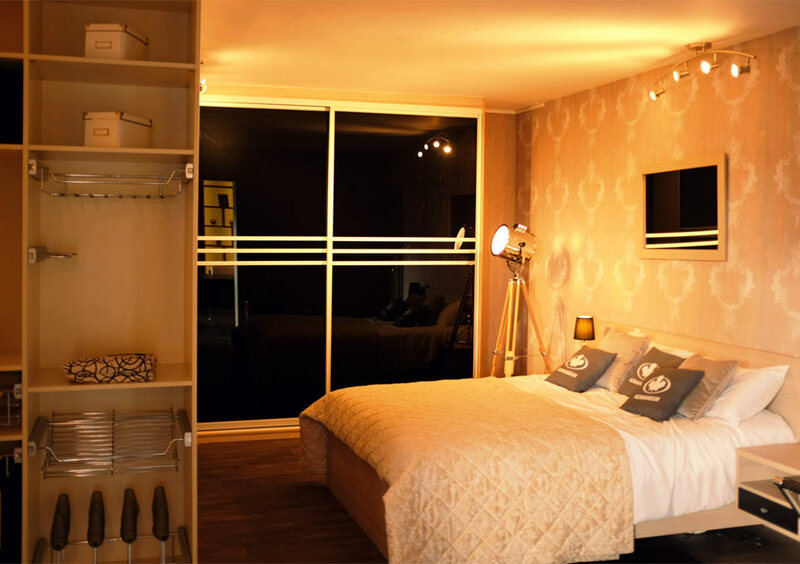 Komandor are experts in innovative custom-made furniture systems. 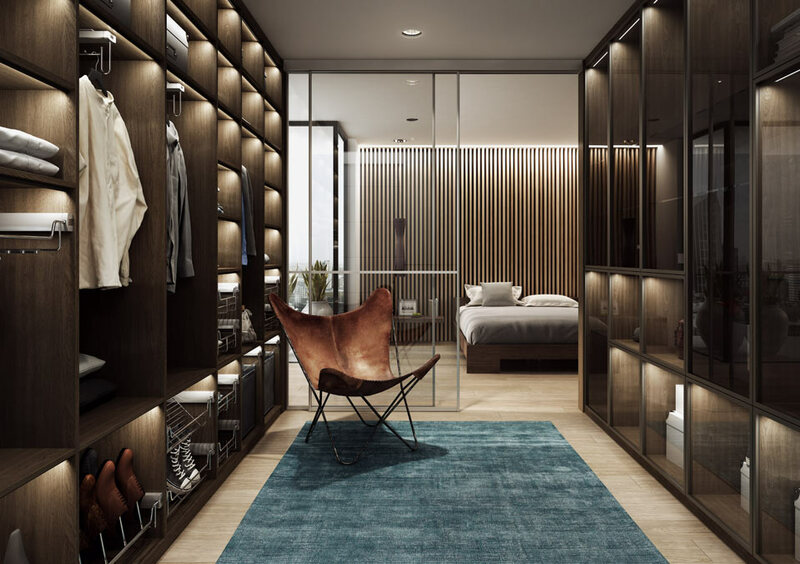 From converted lofts and walk-in wardrobes to hotels and commercial spaces, Komandor products have a multi-faceted ability to adapt to any environment. As a global superbrand we have an established reputation for superior quality and professionalism. We now supply our sliding door systems to over 42 different countries and work with over 12,000 businesses. We estimate that a Komandor wardrobe is fitted every 20 seconds somewhere in the world. 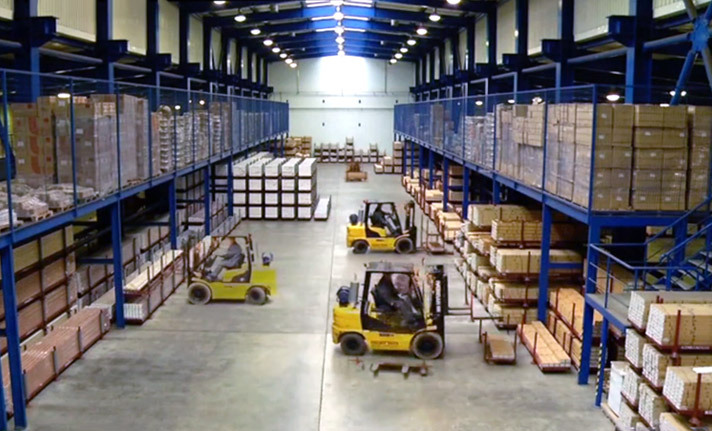 Komandor space management systems have been working for customers for over 20 years. They work because, as managers of your own space, you design them. So bring us your ideas and together we will bring them to life.